You will need to use your Tabroom account to access judge RFDs and comments. If you already have a Tabroom account and have already linked your account to yourself, awesome! There's no need for you to read the rest of this page - continue prepping for the debate you have in the near future! If you have a Tabroom account, but it is not linked to a competitor, follow the instructions starting from "How to Link Your Account with a Competitor." However, if you have not yet created a Tabroom account, please make sure that you start reading the following instructions. 1. On the main page of Tabroom.com, find the "Sign Up" button on the upper right corner of your screen. Click on that. (Ignore the first question which asks you whether you're an NSDA Coach or PKD Member. You are a student and are neither.) Keep scrolling down, which leads you to a page where you type in your email, first name, last name, phone number, password, etc... While you are only required to input information regarding your email, first and last name, and password, we also highly recommend that you provide your cellphone number and service provider because you can get live text updates of postings and tournament updates! 2. After you input all your information, click "Create login." This will lead you to a blank page that serves as your Tabroom account. If you see the words "Judging," "Competing," and "Your Account" on the right hand side of the web page, you are in the right place! 3. A brief note - Please make sure that you remember your password and email that you are using for Tabroom. If you at any point forget your password and/or username, please DO NOT create a new account. Use the "Forgot your password" feature when you try to login to your account on Tabroom. 1. Awesome! You've created your Tabroom account! Just one more step. On the right hand side, scroll down to "Your Account" and click on "Link your person to a student." 2. That will bring you to a page that prompts you to search for yourself. 3. Type your first and last name in the empty boxes and click "Search." There will be a page that pops up that lists all students registered on Tabroom with your name. 3. Please pick the correct person and link yourself to that student. If you are confused with who you should link yourself to, it helps that Tab also lists which school that the student competes for. 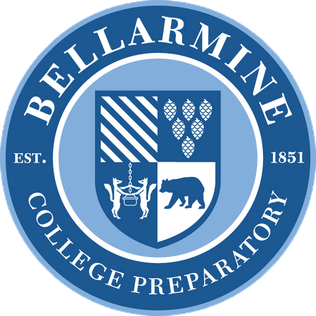 In other words, look for your name and "competes for: Bellarmine College Prep" and click to link yourself to that person! 4. Tab may also ask you to confirm that you want to link. Please make sure all information is correct and confirm the link. 5. Another brief note - Please DO NOT link your account to anyone OTHER THAN YOURSELF. As much as you love your debate partner, he must have a separate Tabroom Account AND that account should be linked to himself.